The Symbol AP650 features full 802.11n performance with standard 802.3af, which simplifies and reduces total cost of installation using standard Power-over-Ethernet (PoE). Its multiband operation allows concurrent sensing on 2.4 Ghz and 5.0 Ghz frequency bands for multi-band intrusion protection or troubleshooting. The AP650 supports fast, secure roaming. 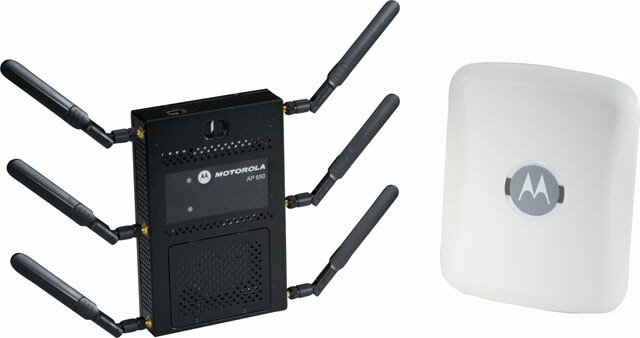 This unique multi-purpose device can execute and enforce the IDS/IPS security policies configured in the Symbol wireless switch, and can also be utilized as a 24x7 dedicated sensor with Wireless IPS from Symbol AirDefense solutions.